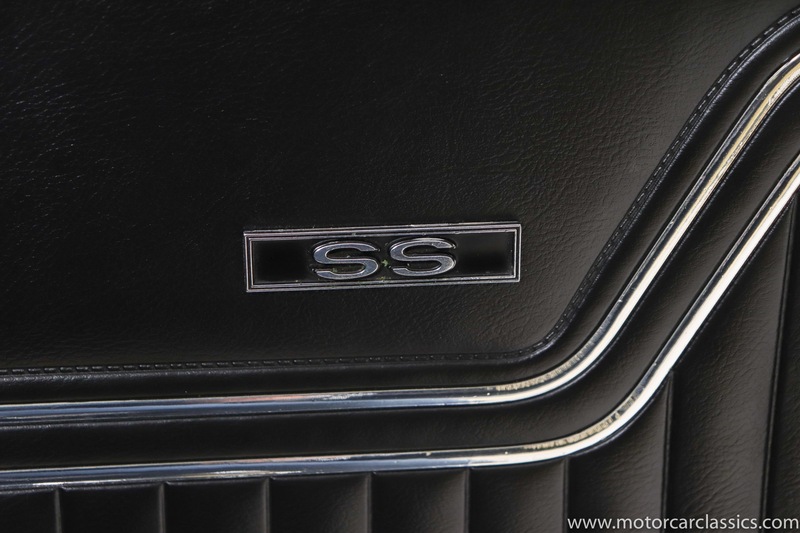 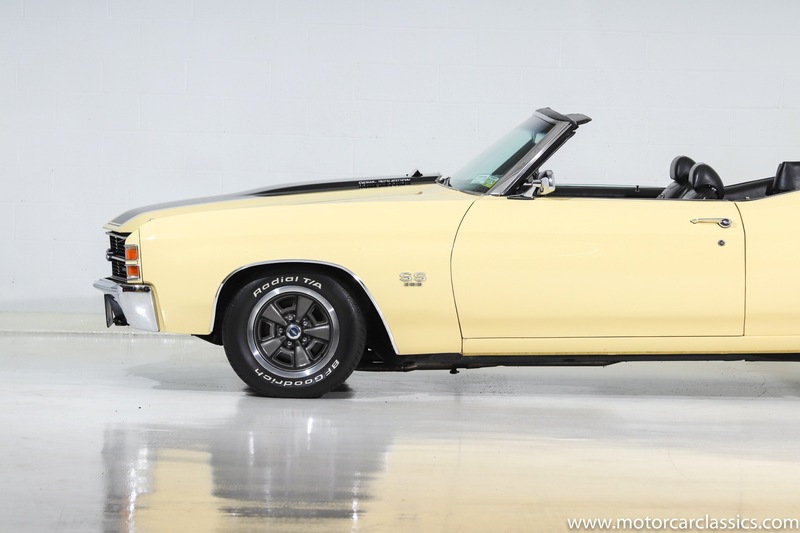 1971 CHEVELLE SS 396 CONVERTIBLE for sale. 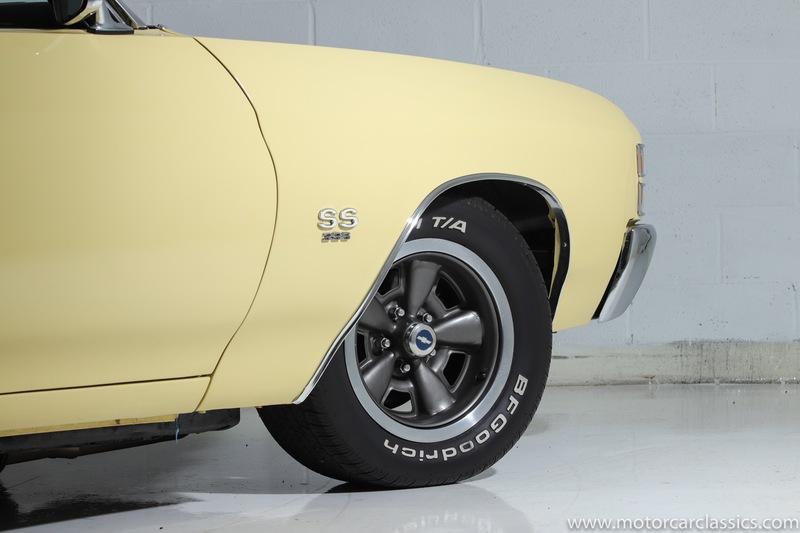 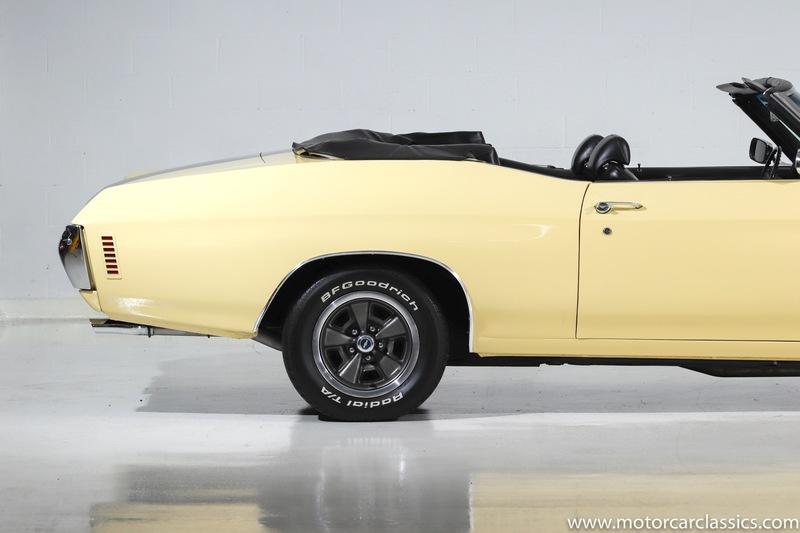 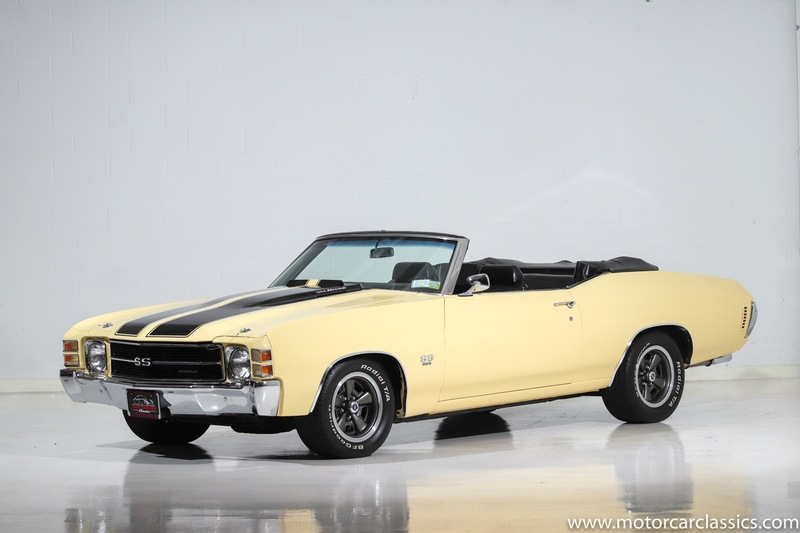 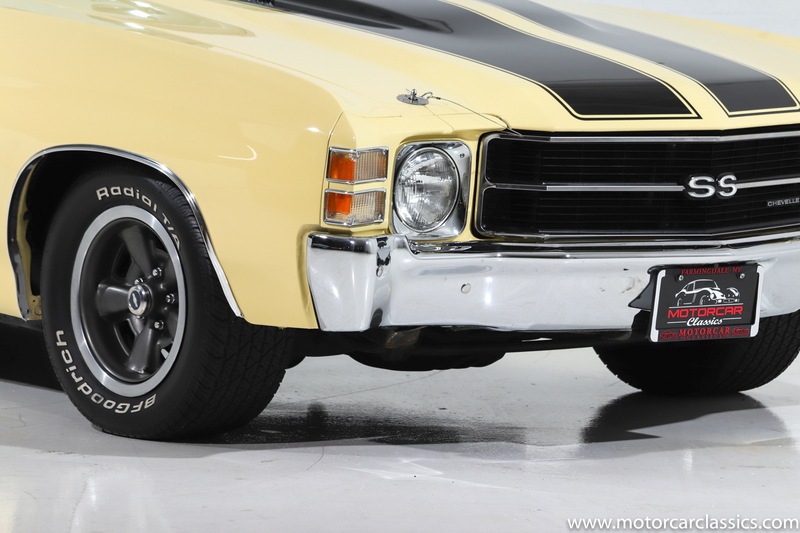 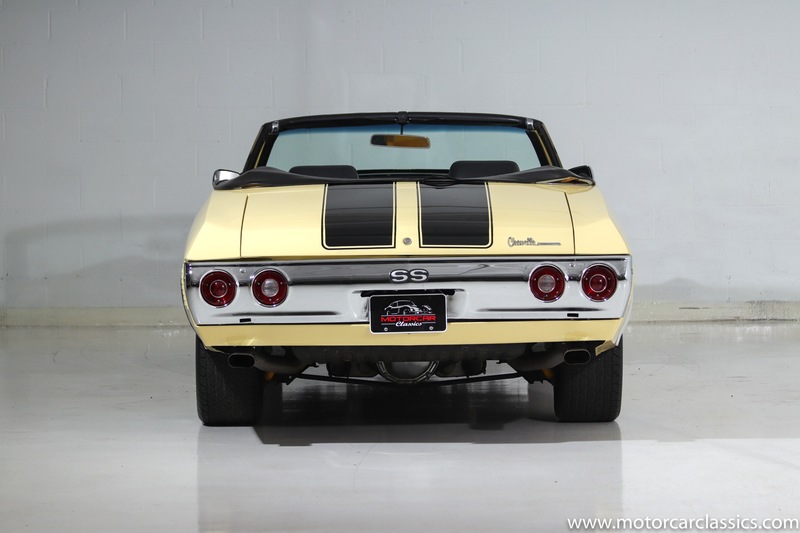 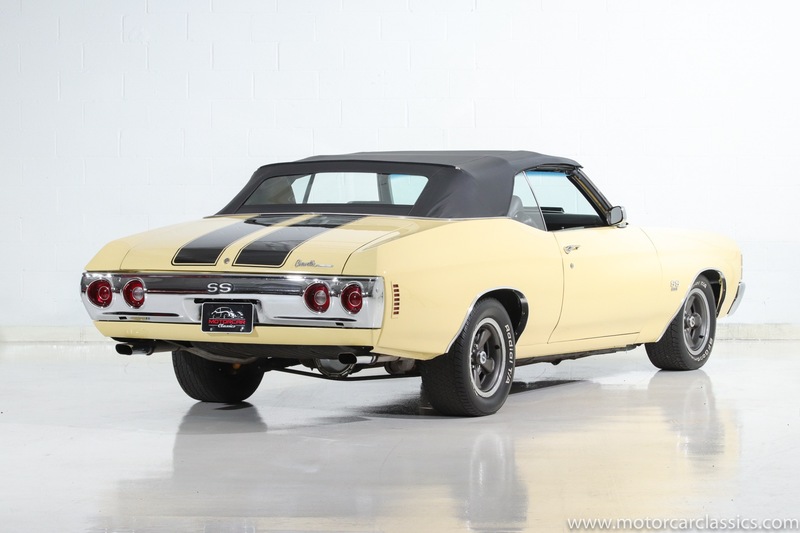 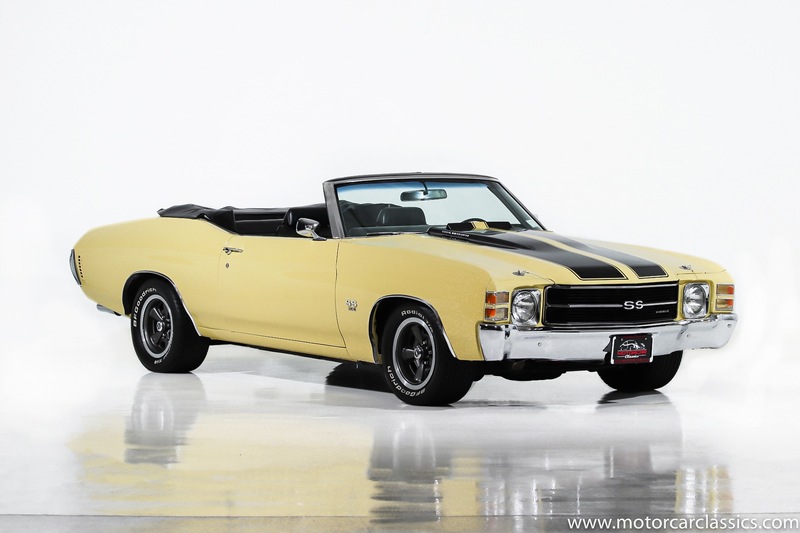 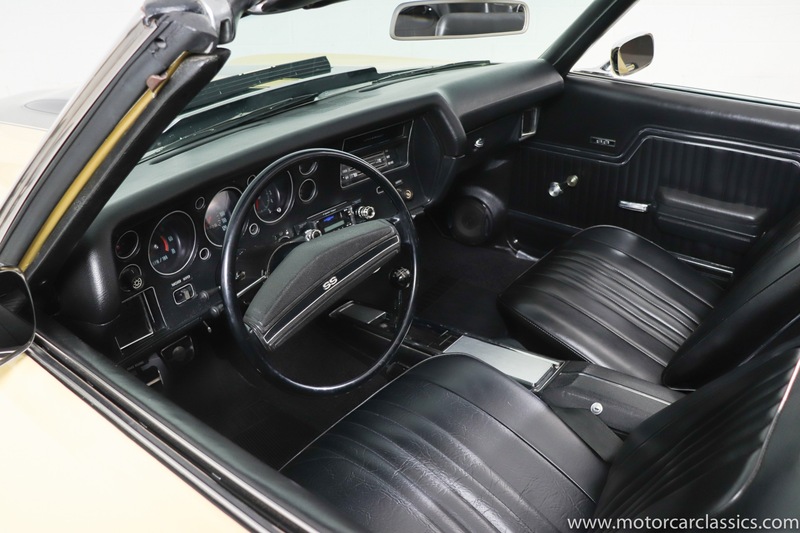 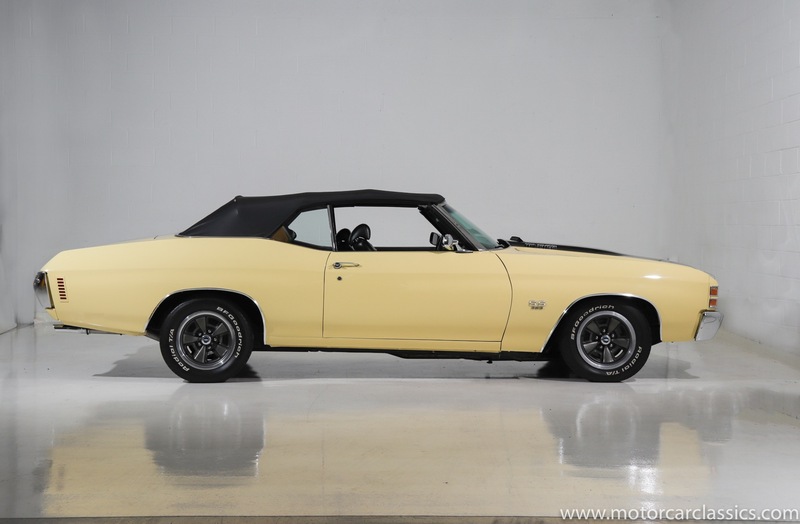 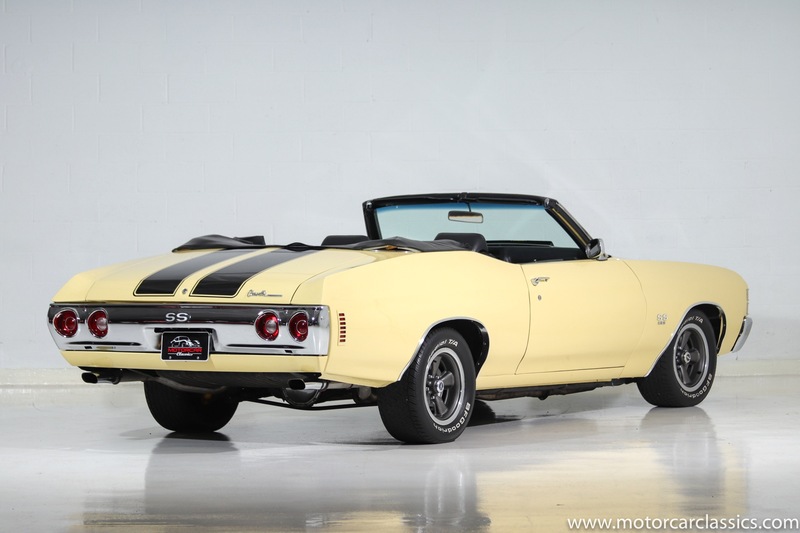 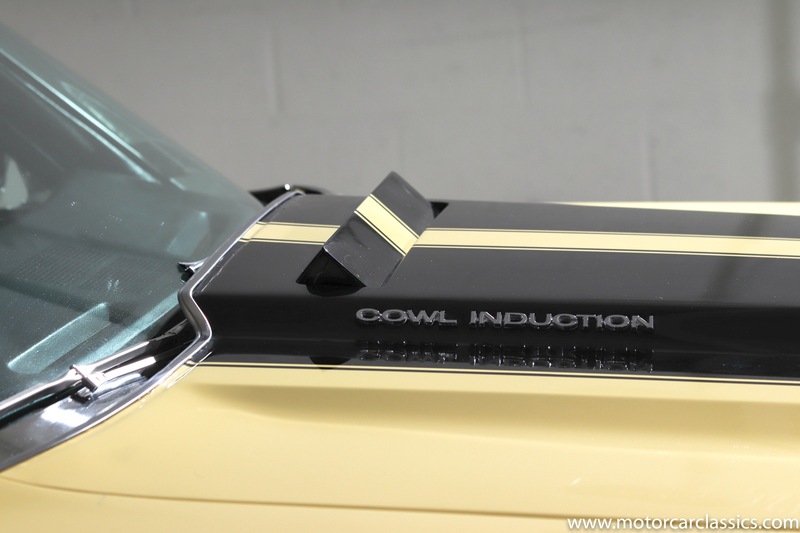 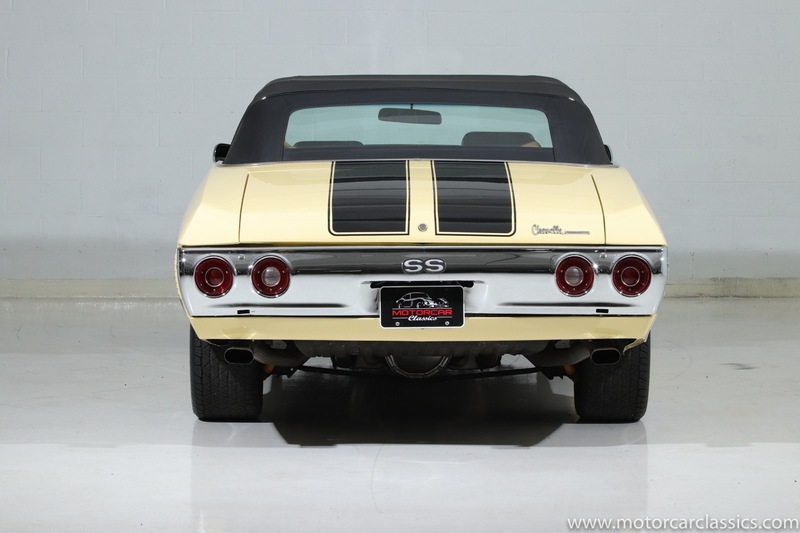 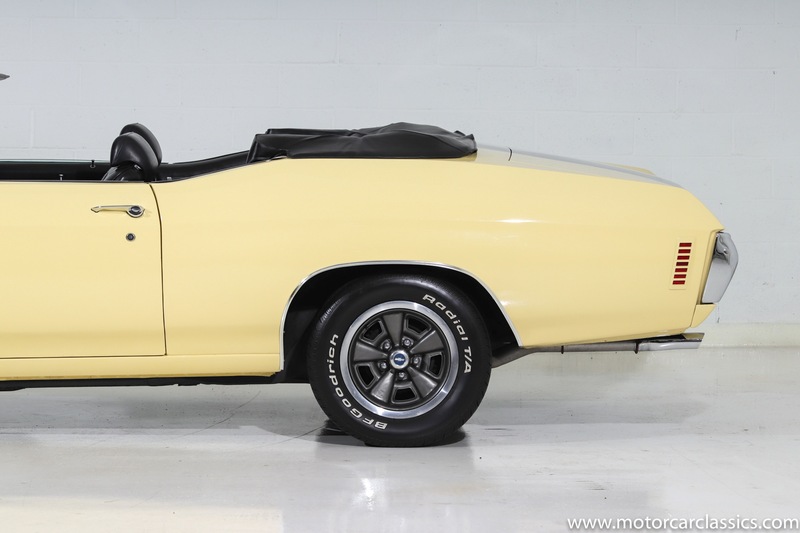 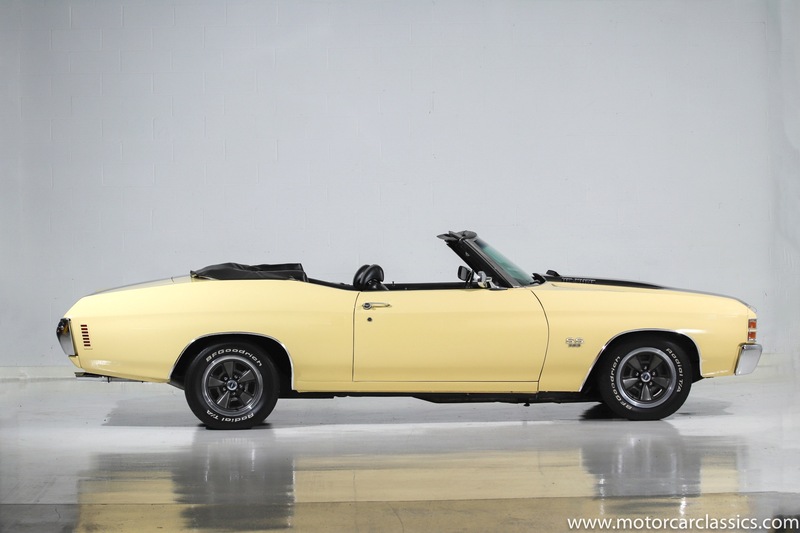 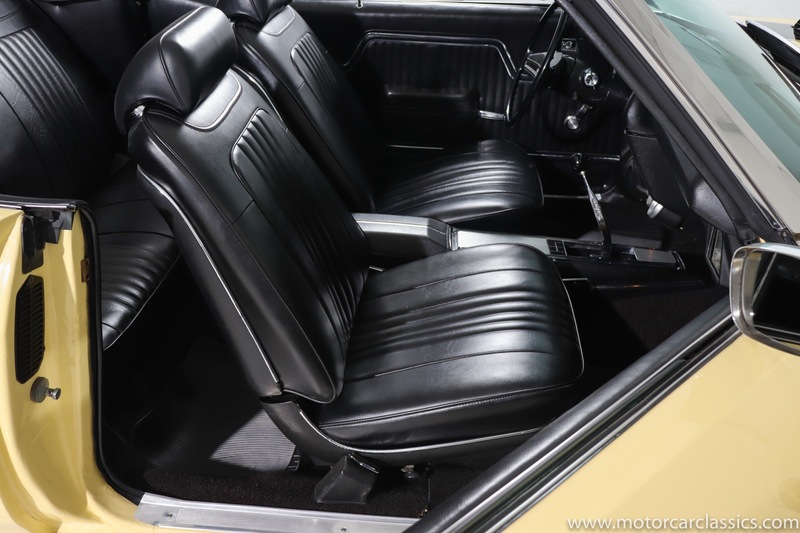 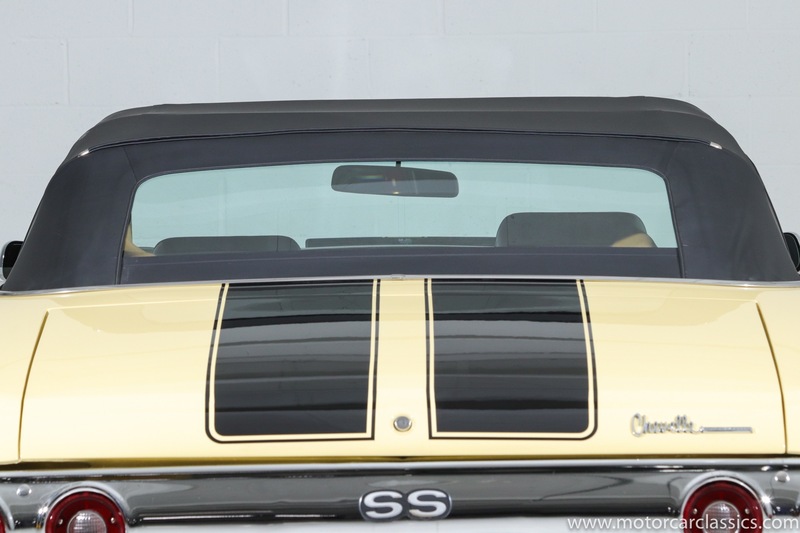 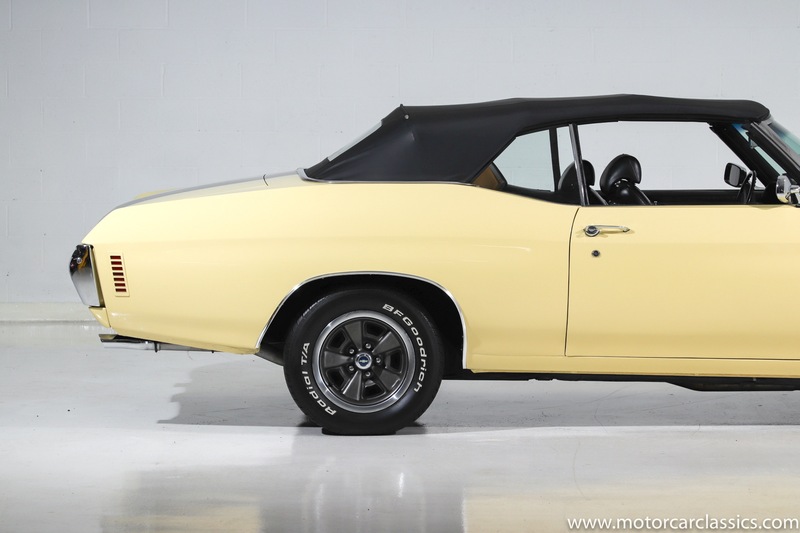 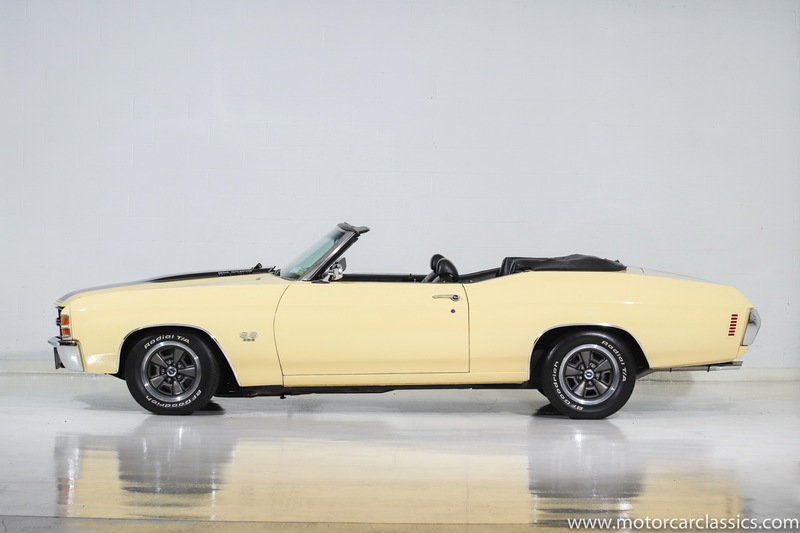 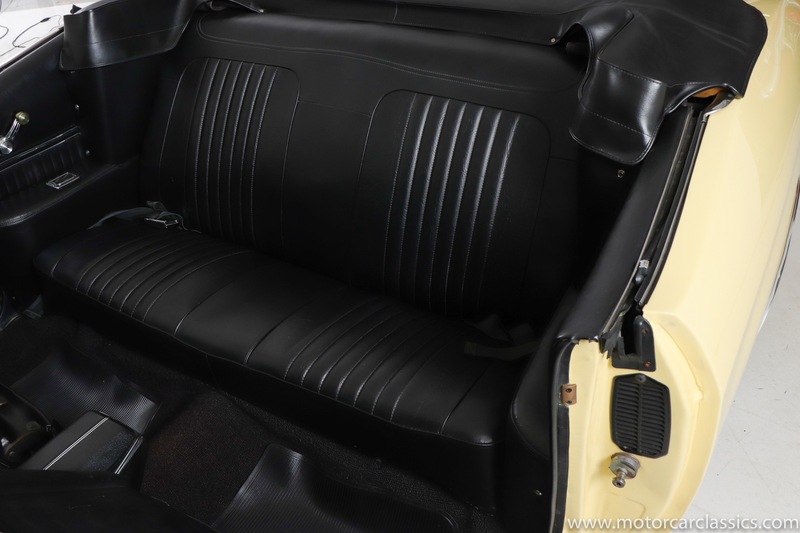 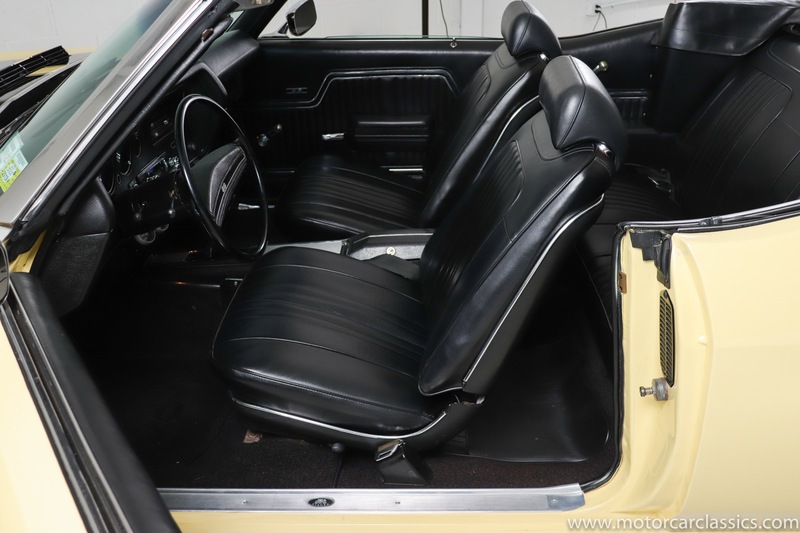 Motorcar Classics is pleased to present this 1971 Chevelle featured in (#52) Sunflower Yellow with black stripes, black convertible top, and (#TR706) black bucket interior. 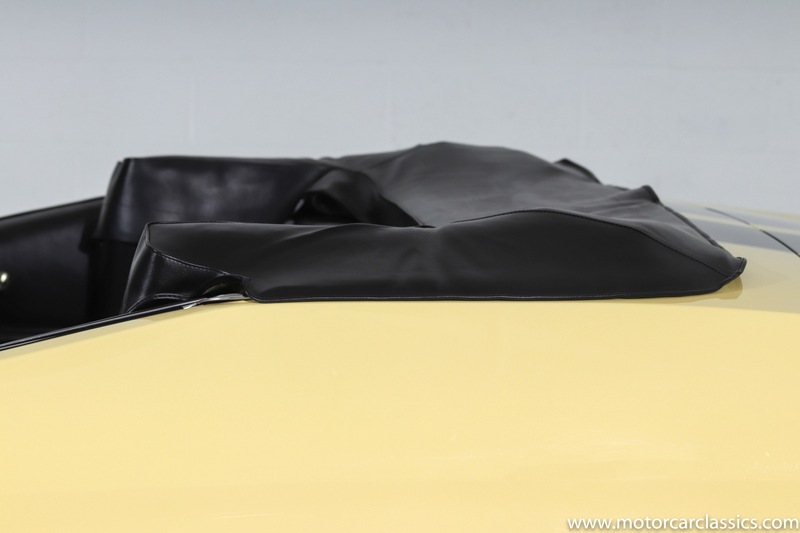 The car has been repainted, but is otherwise largely original and correct. 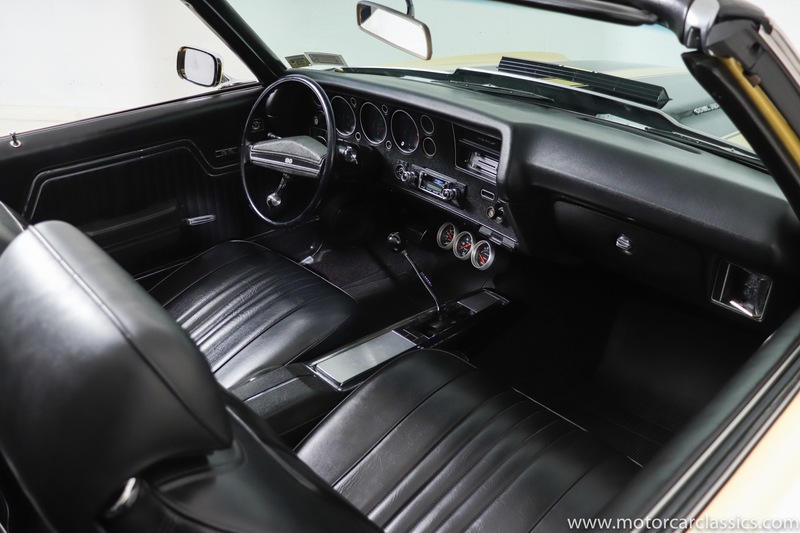 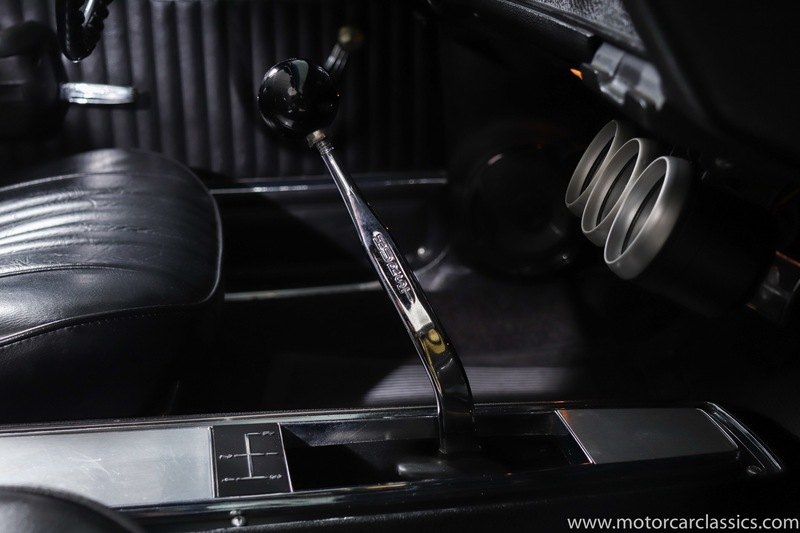 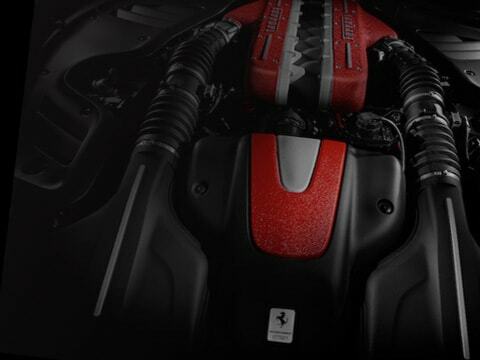 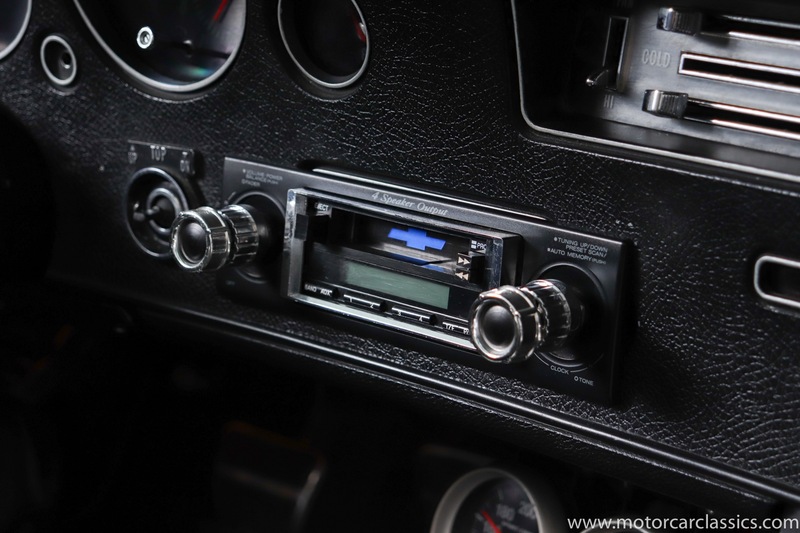 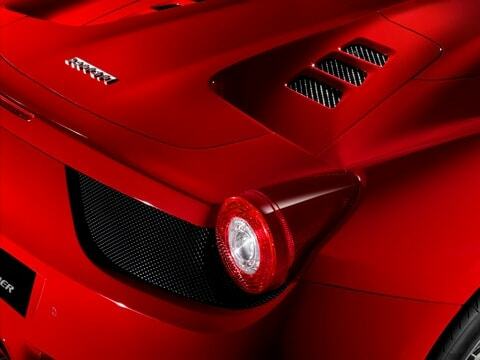 It has the 4-speed manual transmission and cowl induction. 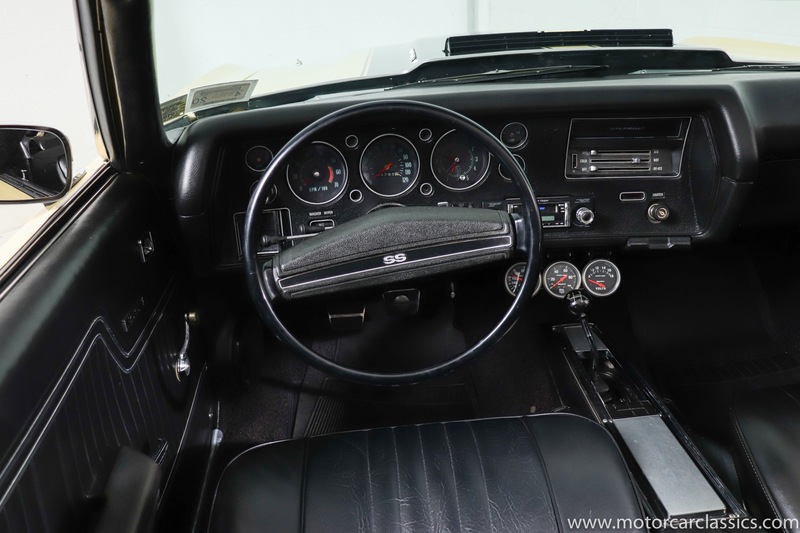 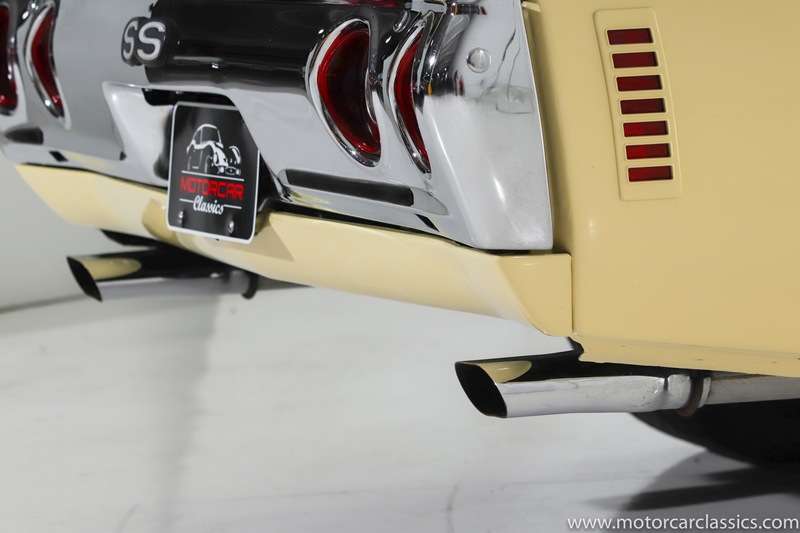 Specs include power steering and brakes. 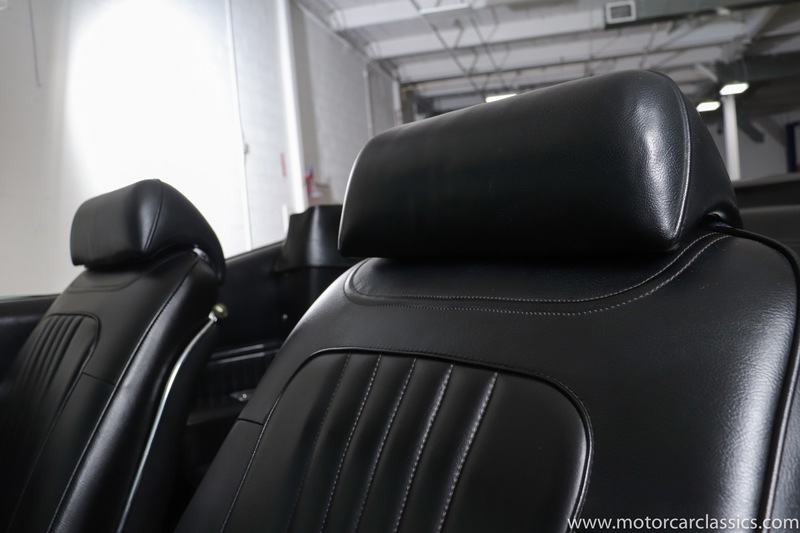 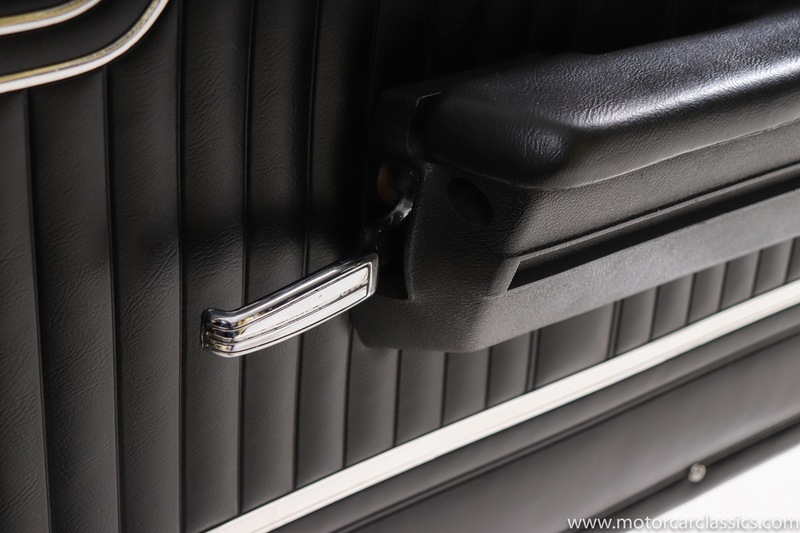 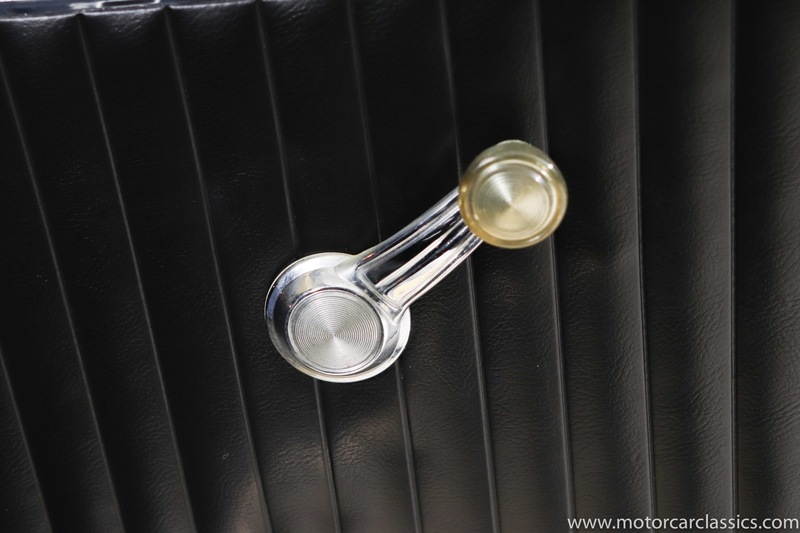 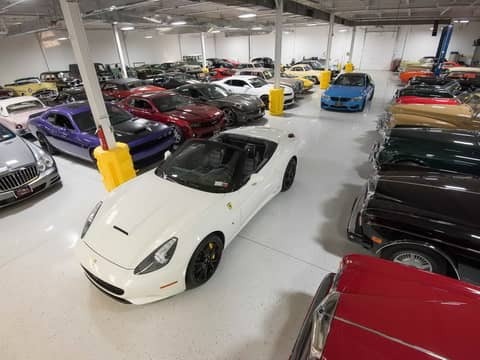 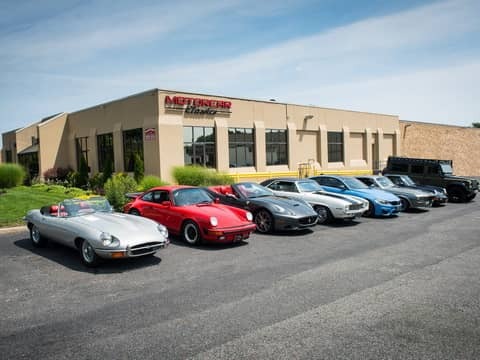 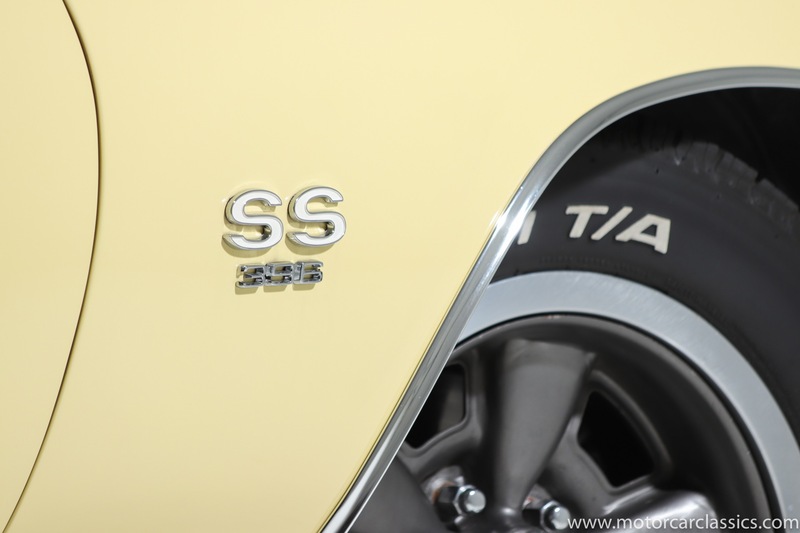 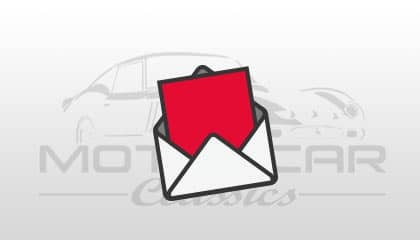 The car is a high-level driver in terms of condition, and it is fast and tight on the road.